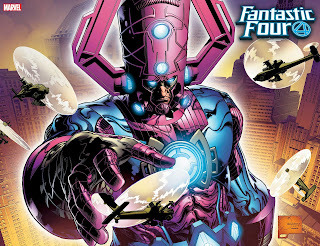 Comic Frontline: Celebrate The Return of The Four With Fantastic Fridays! 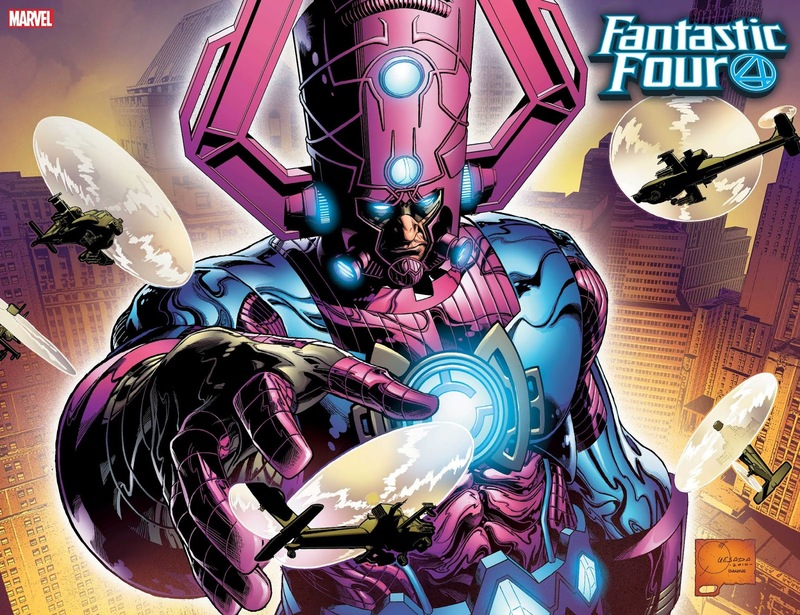 Celebrate The Return of The Four With Fantastic Fridays! 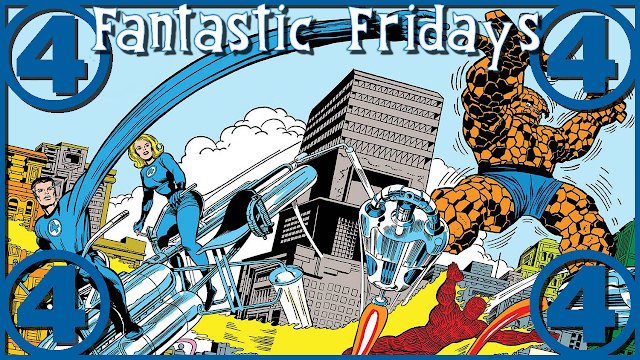 Before Dan Slott and Sara Pichelli take the Fantastic Four on new adventures this August, Comic Frontline invites you to help us celebrate this momentous occasion each Friday in July for FANTASTIC FRIDAYS! Leading up to their return we will be looking back in a series of articles featuring the First Family of Comics: The Fantastic Four! 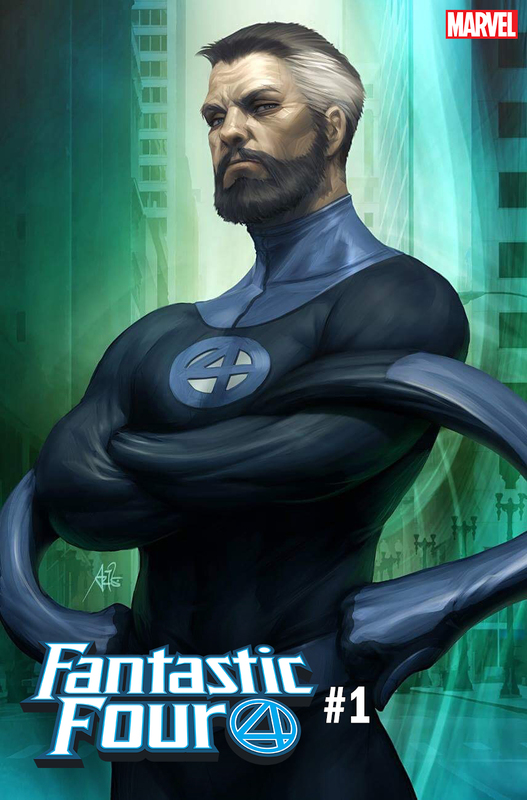 This week we are going to highlight all the great comics and covers Marvel has planned to celebrate FANTASTIC FOUR #1! 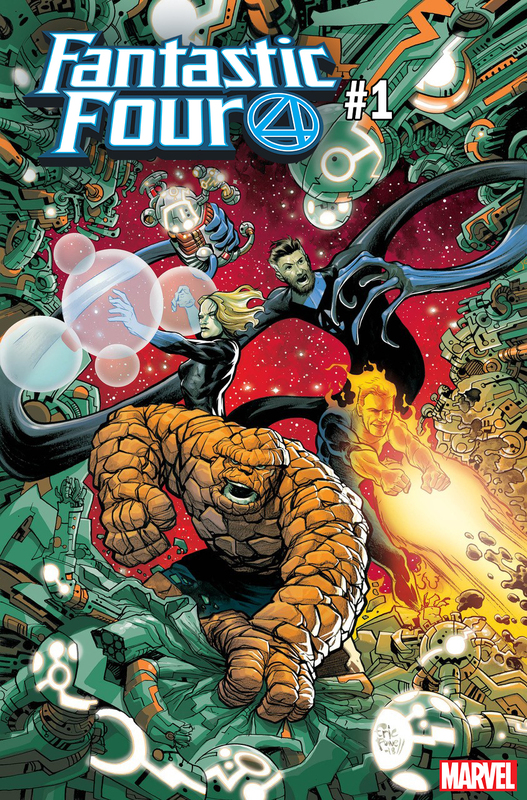 First Up: Specially-Priced TRUE BELIEVERS: FANTASTIC FOUR Comics! $1 Comics starring Marvel’s Fantastic First Family! 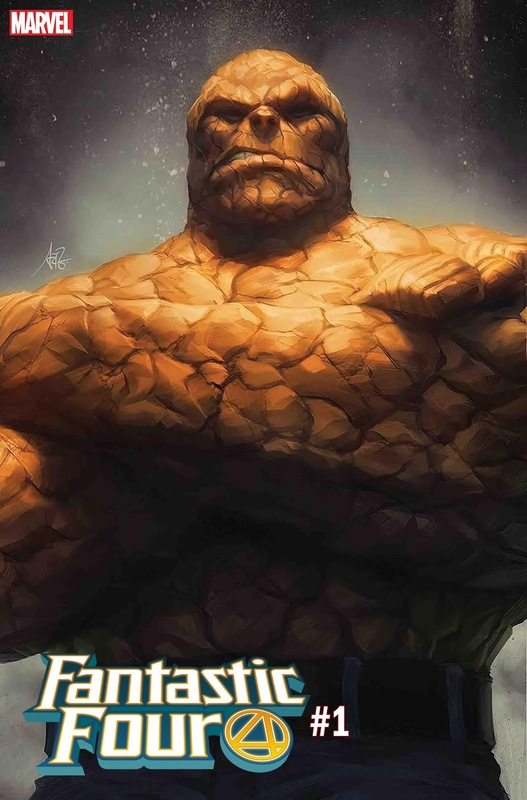 Reproducing some of the most iconic Fantastic Four stories of all time at the suggested retail price of $1, TRUE BELIEVERS are perfect for readers new and old. Whether it’s your first time reading these memorable tales or your hundredth – you won’t want to miss this special celebration. Look for your favorites with new and colorful re-printings! 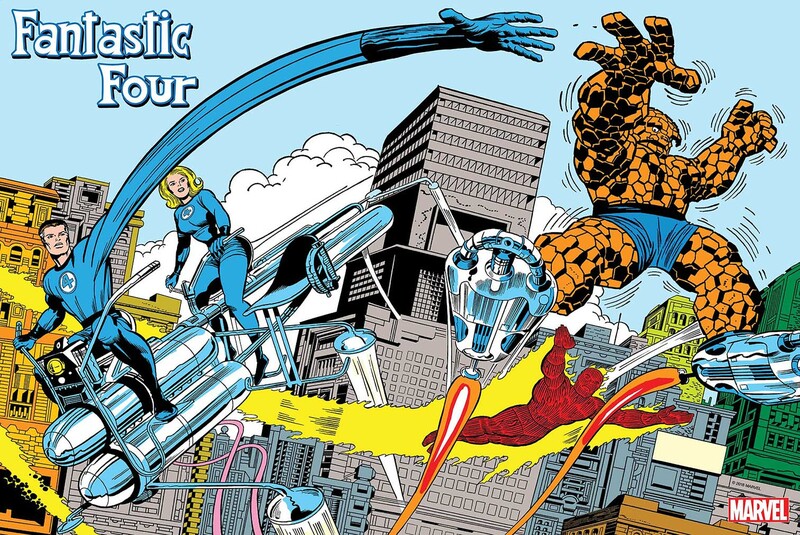 Next up: Celebrate the Return of the Fantastic Four with a Special Classic Kirby Poster! To celebrate the return of the first family, Marvel revealed a special Fantastic Four poster featuring classic artwork by Jack Kirby, which will be available to readers this August. 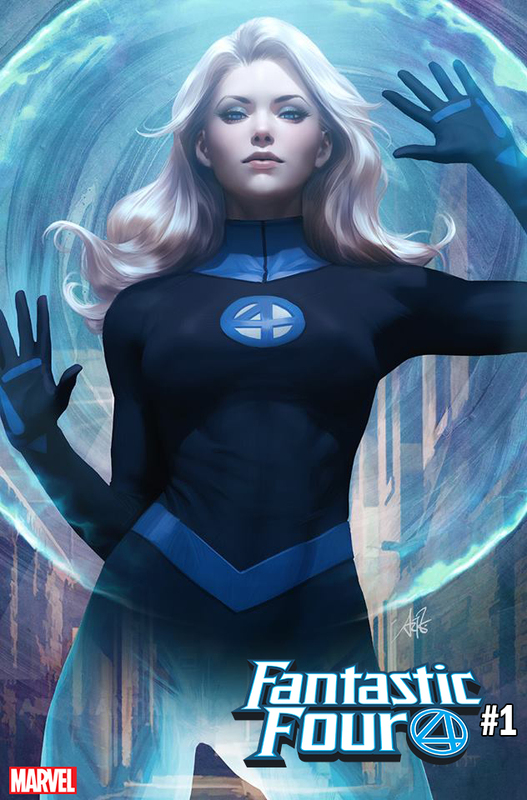 Finally: Introducing the FANTASTIC FOUR #1 Variant Covers! 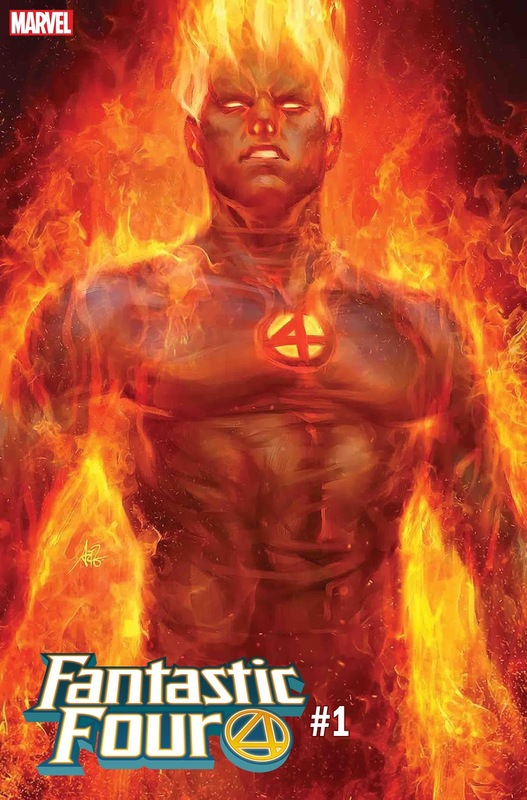 This August, Marvel is celebrating the launch of FANTASTIC FOUR #1 by Dan Slott and Sara Pichelli with variant covers featuring some of the best in the biz! This August join Johnny, Ben, Sue and Reed in their much-anticipated return to comics, featuring an all-new story from Dan Slott (Amazing Spider-Man, Silver Surfer), Sara Pichelli (Spider-Man: Miles Morales), and Esad Ribic (Infamous Iron Man, Marvel Legacy, Secret Wars)! Be sure to pick up FANTASTIC FOUR #1 on August 8th, and stay tuned to Comic Frontline for more announcements about FANTASTIC FOUR’s release, upcoming incentives, and more!